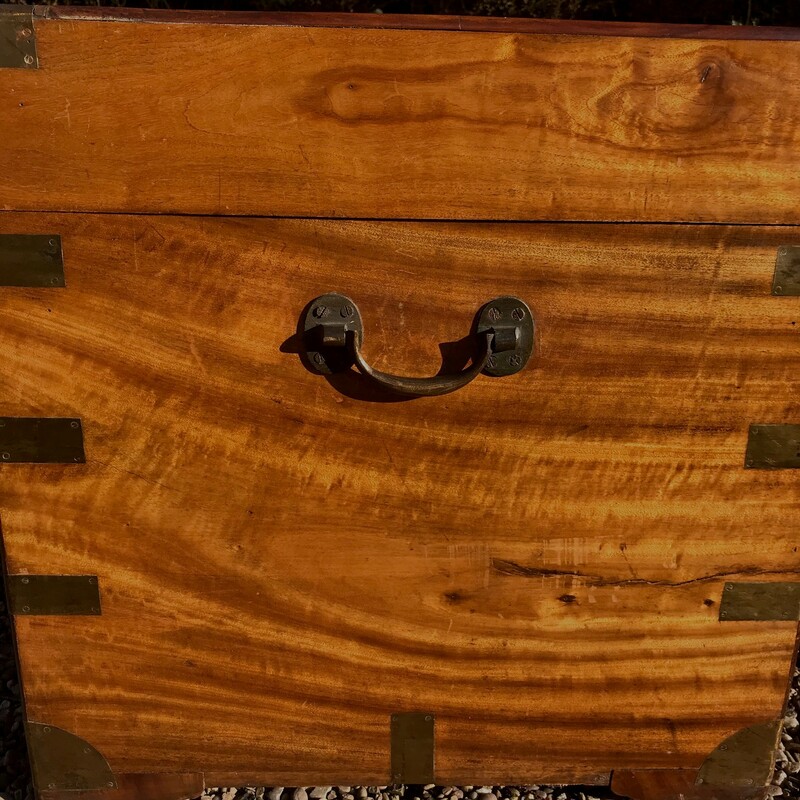 An exceptionally large 19th Century camphor wood brass bound campaign trunk with twin locks, complete with key, brass name plate and brass carrying handles. 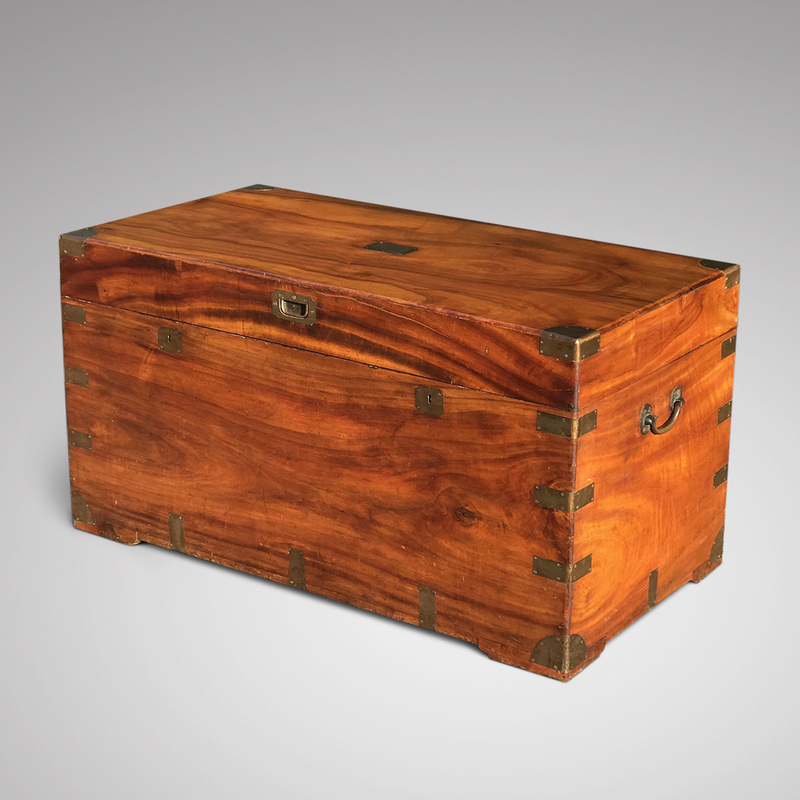 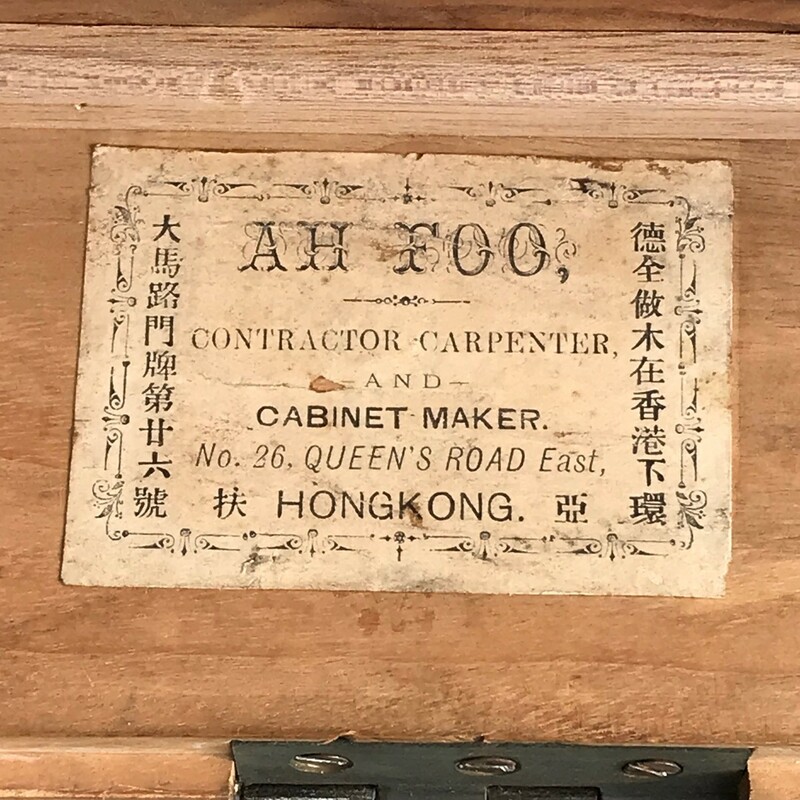 This generously proportioned trunk was made in Hong Kong by the renowned cabinet maker Ah Foo and bears the label of this company. 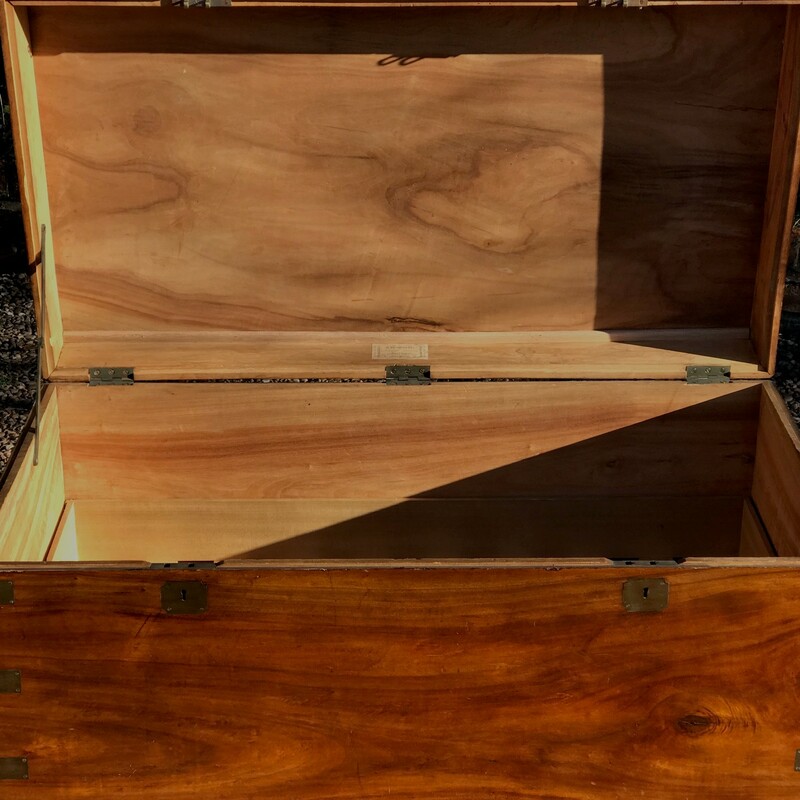 The grain and colour are outstanding and the condition is excellent. 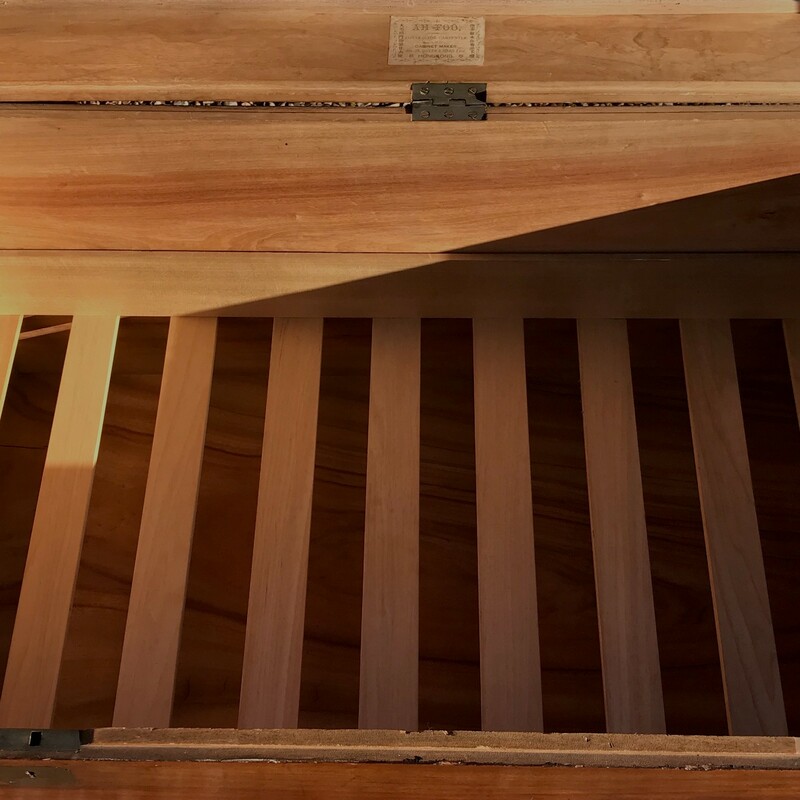 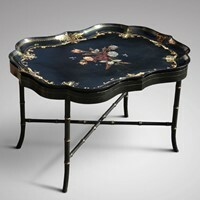 The interior has a removable tray and offers lots of storage space. 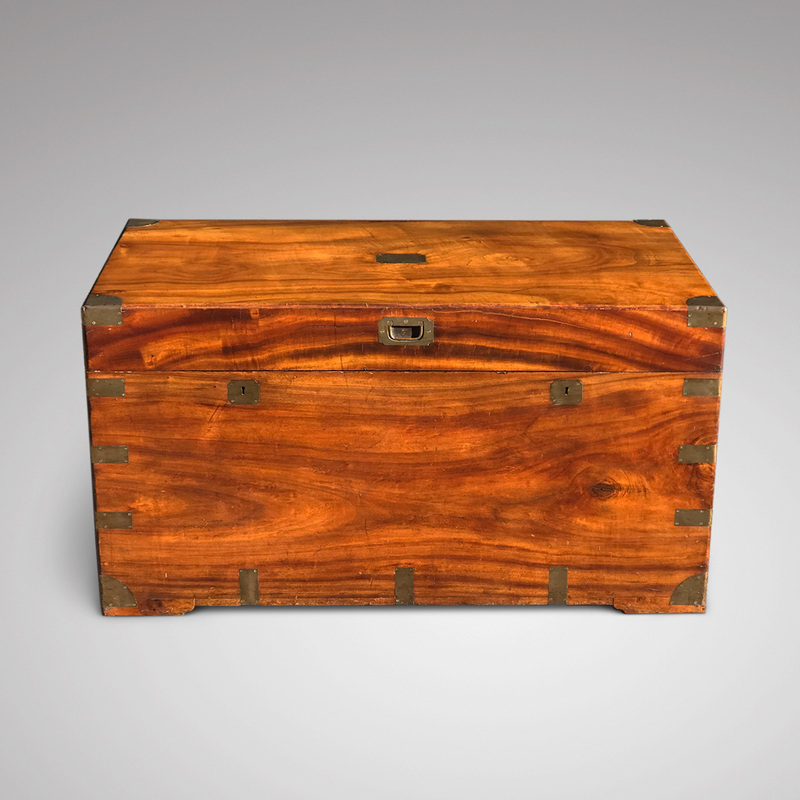 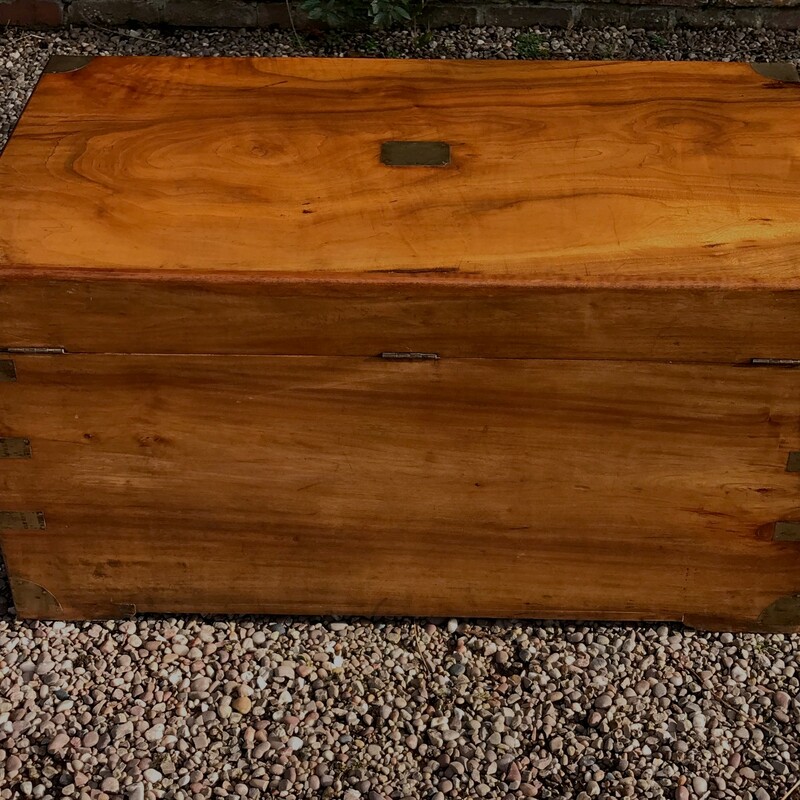 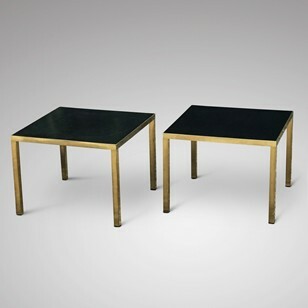 A fabulous trunk that would make a decorative coffee table or a useful storage facility in any room.